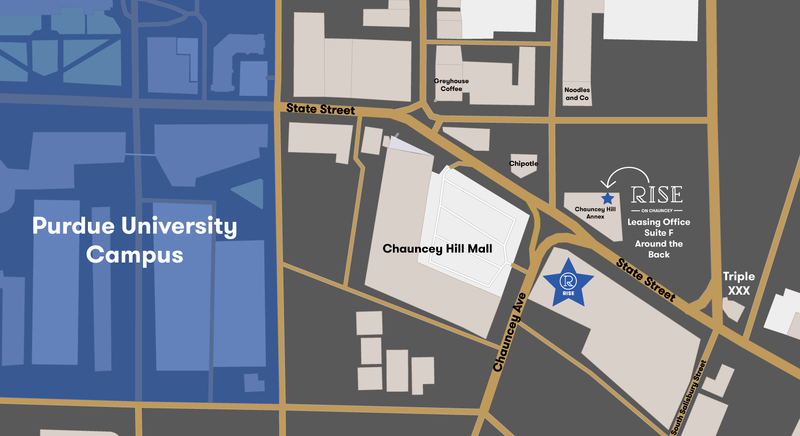 The Rise on Chauncey leasing office is located at the corner of State and Chauncey in the Chauncey Hill Annex, directly across the street from Chipotle. Enter from the parking lot side of the building - right next to AJ's Burgers & Beef. Still cant find us? Give us a call at (765) 245-8000 or click here for directions!